Neither Hubby nor I were ever allowed to sleep in our parents' beds growing up. Hubby's father was a pediatrician and probably thought it ill-advised at that time. My parents, on the other hand, shared a tiny full-sized bed, so really there was no extra room at all. Luckily, we both had older sisters who would let us cuddle if we were scared or there was a thunderstorm or if it was a Tuesday. We didn't start out letting our children sleep in our bed. Our twins slept together for a while, then in their own separate cribs. Even when Slim, at 11 months old, was still not sleeping through the night, we practiced the cry-it-out policy. Out of necessity when Knox was born, his crib was in our room. This is when we were renting a tiny apartment on Long Island and didn't have any other place for his crib. Then, once we were in our spacious 4-bedroom home back in the Midwest, everyone had his own room or shared with a sibling. When Knox was old enough to realize that he was too scared to sleep alone, he tried creeping into our room. When we repeatedly kicked him out, he made himself at home on the floor of Slim and Joey's room where he stayed three boys to one room until Joey died. Yep, all babies and toddlers and children slept soundly in their own beds. Always. Except when they were sleeping in a bouncy seat next to Mommy's side of the bed because they were a newborn. And when they were a fussy baby who still woke in the middle of the night and fell asleep with Mommy on the couch. Or they were a toddler who wanted Mommy to cuddle in their bed and she happened to fall asleep there. Finally, when Edgie was born, the fifth and least planned child, the whole "everyone sleeping in their own bed" thing went straight out the window in a suicide dive you only find in cheesy 1970's after school specials. It was so much easier for me to rock and nurse him to sleep. That guaranteed he would go to sleep quickly. I had other older children, and I was tired, too, darn it. But then, he'd wake in the night and want me, and I just plopped him in our bed from sheer exhaustion. And thus it began. This idea that everyone wanted to sleep in Mommy and Daddy's room. It has taken serious flight lately, and we have taken serious issue with it. It was never really an issue before when we had a Queen bed that was high off the ground. For me, it was about safety - I didn't want anyone falling off the bed. For Hubby, it was an issue of space. Then he decided he'd love to have a new bed - a King with the best mattress he could buy. And then, Oh Ma Gah, is that bed comfortable - and roomy! It can fit five people. We know this for a fact, unfortunately. And it's become a problem for us. No one is getting any sleep. We have kids who sleep horizontally when we want to sleep vertically. We have a child who is wide awake at 4:00 a.m. wanting to talk to us and himself. We have a little two year old who doesn't like when anyone else is in HIS spot. We have people coming in and going out at all hours of the night - it's like a frat house! Even if they sleep on the floor, it's, "Mommy, will you fix my quilt on the floor so it's comfortable?" and "I want to sleep RIGHT next to your side of the bed. How can I get closer?" Especially since Halloween, everyone's excuse is that he is too scared to sleep in his own room. I call BS on that because they all leave every light possible on. GAH! It's maddening! And then everyone is grumpy in the morning. 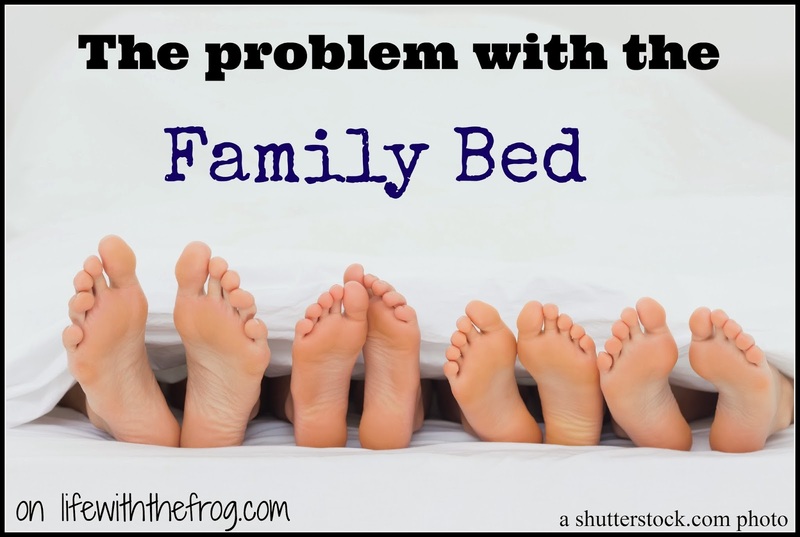 There are so many positives and negatives to co-sleeping or family bed sharing. Plenty of families do it, and successfully at that. I am right there to get to a baby who wakes in the middle of the night. I can go right back to sleep even if a child wakes in the middle of the night. The snuggles - oh the snuggles! There is nothing sweeter than having a little person all tucked up against you. I love being there to comfort the boys when there is a thunderstorm or they have a bad dream. I understand that. I am right there to hear a baby who coughs and sighs and gurgles and breathes. Let's talk about cultivating paranoia. I woke up the other morning at about 4:00 a.m. to a horrible smell. Was it Hubby breaking wind? No, it was my toddler's poopy bottom in my face. Talk about a wake-up call! I am well over 40. I get sweaty in the middle of the night. The middle of the night blanket wrangling is doing me in. One small crack of thunder, and we're all awake all night long. This. 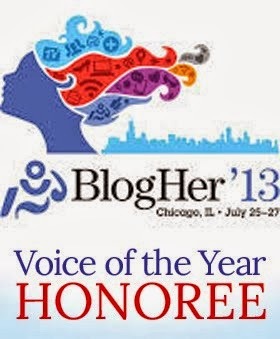 And the fact that I'm writing about it again! 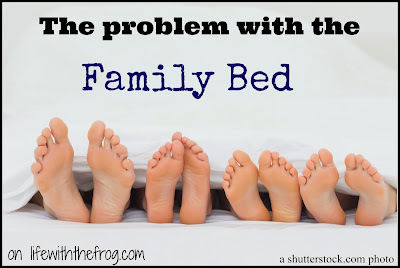 Hubby gets crabby when other people are in our bed. Crabby Hubby=crabby Mommy=crabby kids. See where I'm going with this? I am blaming Hubby for getting a new comfortable bed, and he is blaming me for never being in it (I have a tendency to fall asleep on couches and in rocking chairs, thus leaving half the bed wide open to encroachers). We just recently made the boys take all their stuff out of our room - blankets, pillows, stuffed animals and favorite books. 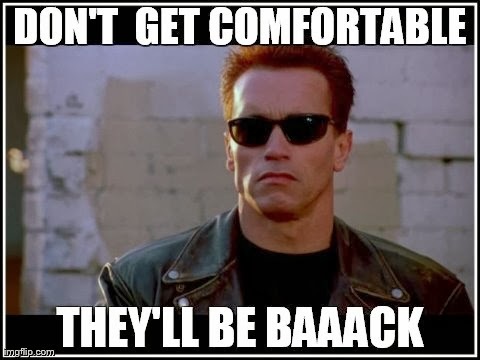 Problem is, we know they'll be baaack. We're not really sure what the solution is. Just the other night, Hubby was reading to the boys in our bed. Everyone was all snuggled in - two in the bed and two on the floor. Hubby's eyes were quickly getting droopy, and I knew he'd be fast asleep before he had a chance to kick anyone out. Sure enough, when I came back upstairs to bed, all five of my boys were right where I left them. And there was no room for me. Sigh. Oh well, at least I had four other empty beds to choose from. So seriously, what's the sleeping situation in your house and can anyone assure me they eventually stop wanting to sleep with their parents?